The Southern Illinois University Edwardsville College of Arts and Sciences (CAS) is introducing a bachelor’s program in environmental sciences to begin fall 2016. Students of the new interdisciplinary program may choose a concentration in the areas of environmental health, environmental toxicology and environmental management. Students’ perspectives on environmental issues will be cultivated. The program will provide students with refined knowledge of environmental issues at the local, regional and global levels. The curriculum will increase students’ technical competence in addressing these environmental issues, their origins, ramifications and resolutions. The program will promote experiential learning, professional education and prepare students for career opportunities in a wide variety of workplaces. SIUE’s environmental sciences program is one of few in southern Illinois providing students with interdisciplinary and hands-on learning opportunities in the discipline. “Giving undergraduate students the opportunity to work closely with faculty, who are at the top of their field in environmental sciences, sets our program apart and provides the kind of quality academic preparation that today’s students demand,” said Greg Budzban, PhD and dean of CAS. According to the U.S. Department of Labor, employment of environmental scientists and specialists is projected to grow 11 percent during the decade ending in 2024, which is faster than the average for all occupations in the U.S. The median annual wage for environmental scientists and specialists was $66,250 in May 2014. For further information about the bachelor’s in environmental sciences program at SIUE, please contact the CAS Academic Advising Office 618-650-5525, or Lin at 618-650-2650 or zhlin@siue.edu. 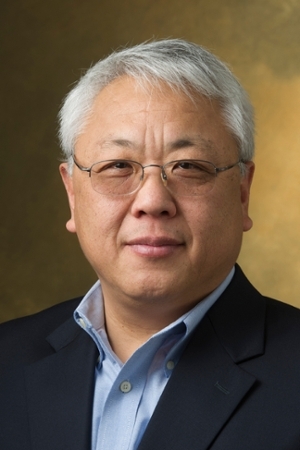 Photo: Zhi-Qing Lin, PhD, director of SIUE’s environmental sciences program.